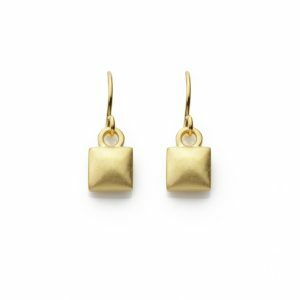 A new collection of 18ct Gold plated jewellery that has a warm and pearlescent appeal. Each ‘Pillow’ necklace is handmade in silver and hand finished with a satin texture to ensure they meet Angela’s exacting standards. 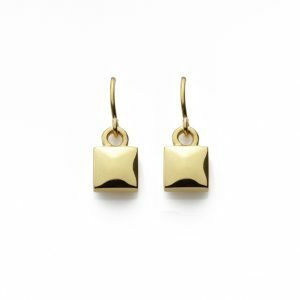 They are plated with 2 microns of 18ct Yellow Gold for durability. 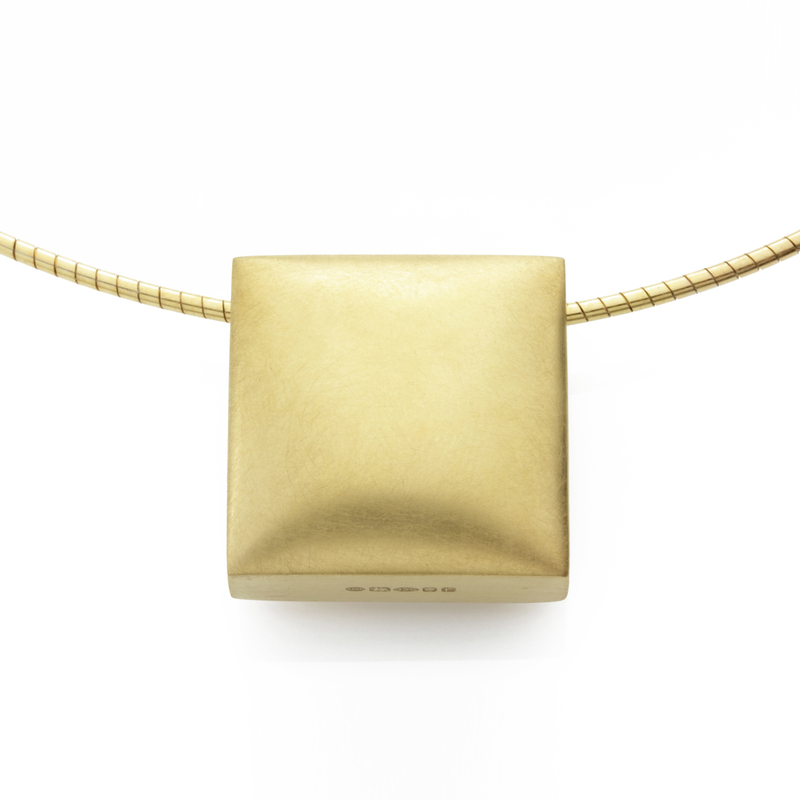 Each necklace is handmade, hand finished and hallmarked in London. 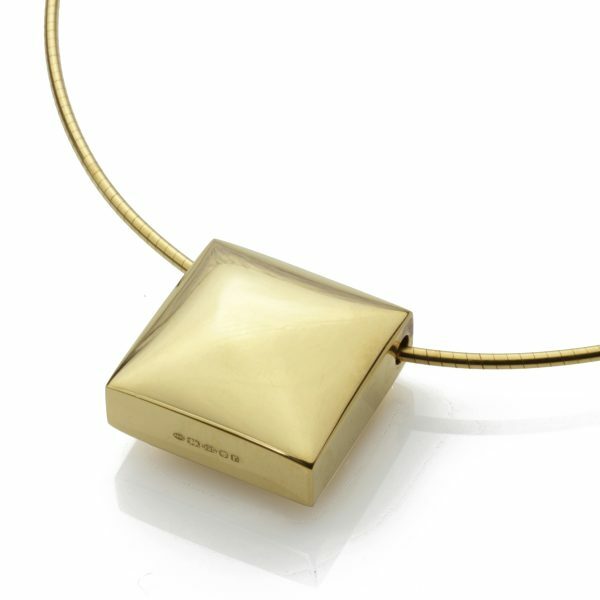 Dimensions of Square pendant: 23mm x 23mm x 12mm, the cable necklace length is 16″. Weights may vary slightly. A longer length of 18″ is available on request.